It’s the second part ending to Rurouni Kenshin and The Legend Ends didn’t fail to deliver a legendary ending from narrating Kenshin’s beginning, his early training, that first scar revisited, learning the ultimate high heaven technique from the same master who first taught him the samurai’s creed, and until the final epic battle with Makoto Shishio. 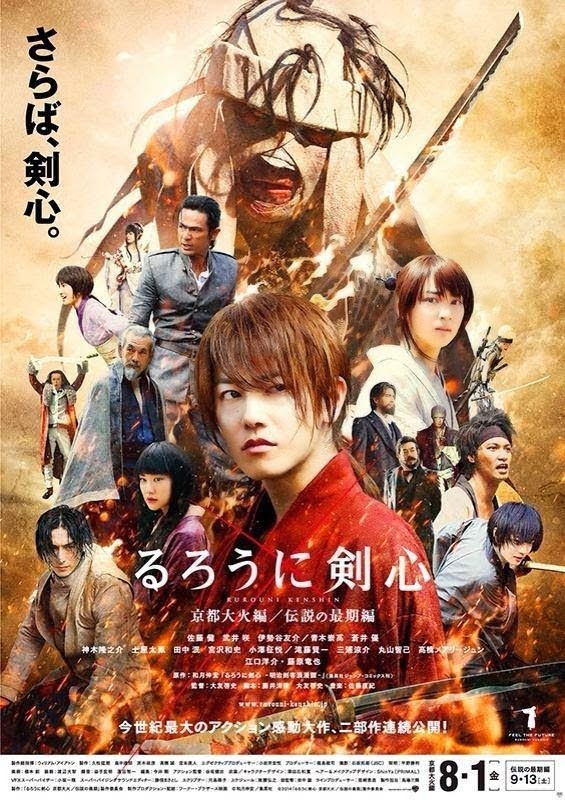 Whether you’re a fan of the anime or not, you will definitely enjoy each battle scene in this sequel involving elaborate sword fights as well as brute force in brawls delivered by every character including Kenshin, Sanosuke, Saito, Aoshi, and Sojiro. Even Himura’s final training with his master is fierce. But if you’re after romance, you won’t find that much here. The cast and director, who went to the Philippines last month for the Asian premiere of Kyoto Inferno (part 2), did say that romantic love weren’t expressive in that era of Japan. The ultimate technique’s lesson, I believe, summarizes the story, or at least this sequel, in saying that one’s life is as important as any others and one should worry about himself first before another’s in order to protect them. You can’t possibly carry the weight of the world on your shoulders. Only after realizing this that Himura finally learned the method that defeated Shishio, although the latter didn’t concede and proclaimed that the former was only lucky due to Shishio’s existing physical condition. The Meiji government is definitely not worth fighting for; it only created a monster through Battousai the Slayer so it was just fitting for the same government to stage a farce for the monster’s demise. Kenshin is then free at the end, hence, the legend ends. But did it really end? I waited until the end of the credits roll while ONE OK ROCK’s song “Heartache” played, but there was no teaser. There’s no news online about any sequel either. The legend indeed ended and it was legendary.